"The Ox" - Words Fail Me. I was in the middle of writing my post for this week, and I paused for a moment to watch a video (I'm easily distracted and I'm a short film addict). After I watched the video, I sat speechless for a moment and put my post on hold so I could share this beautiful piece with you. Everything about this short film impresses me. I am constantly searching for inspiration, which is partly why I love short documentaries about craftsmen, and this film didn't disappoint. Mr. Eric Hollenbeck owns and operates Blue Ox Millworks out of Eureka, California. He and his wife Viviana operate an architectural millwork company on the site, however, they also operate a school and a historic park on the grounds. Outside of the millworks the Hollenbecks also maintain a huge collection of human powered equipment from Barnes Manufacturing, a functioning blacksmith shop, a ceramics studio, a boatbuilding area, an apothecary where they make their own stains and varnishes, a plaster shop, a working print shop, a logging skid camp, a cook shack, a cafe, a herd of animals (including two Belgian Blue oxen), and knowledge and equipment for just about any other craft you could imagine. I bow before this man in true "I'm not worthy" fashion. I also enjoy his candor about his military service, his well thought out spring analogy, and the way his school is planning to help other veterans. The director, Ben Proudfoot, should be immensely proud of his film. There is a lot going on in this ten minute spot, yet he has managed to keep it all cohesive and at the same time wrapped it in a beautiful package. I can't wait to watch his other films and I hope he has another coming soon! Brace yourself for the overwhelming urge to run to your shop and make something. The Ox from Ben Proudfoot on Vimeo. It is the time of year, in America, where we are encouraged to to name the things for which we are thankful. I am really thankful for a lot of things this year, safer welding helmets, x-ray vision, mind control, twerking, The Lady's Brunch Burger, and this! On a more relevant note, I am really thankful for folks willing to share their woodworking, toolmaking and maker experiences online. I wrote a ridiculous article on this serious topic a while ago: World Wide Woodworking. My belief in the willingness of woodworkers to share, both good and bad experiences, was reinforced this year at the WIA conference. Nine online pioneers were asked to speak at an "online round-table" to discuss what they do, why they do what they do, and some of their experiences. 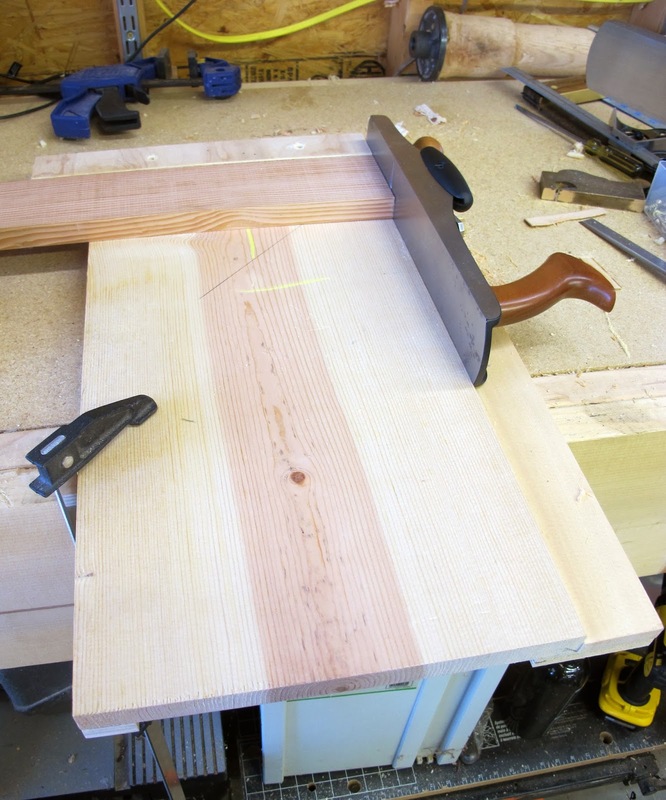 This round-table, to me, was just as useful as the excellent class on cutting dovetails. Kudos to Ms. Megan Fitzpatrick and her staff for putting this together. So many woodworkers both brand new and "well-seasoned" don't have access to costly classes, conferences, or apprenticeships. The dwindling emphasis on the industrial arts in schools also means that these skills aren't necessarily being taught in classrooms anymore either. The large (and growing) group of online makers has encouraged many people, especially of the younger generations, to try making something with their hands. Those folks then are able to share what they made, with thousands of people, with just the click of a mouse. Everyone on the panel was very willing to share successes as well as frustrations and failures. It seems that just about everyone encountered some of the same problems at one time or another but their message of stick-to-it-ness really came through loud and clear. 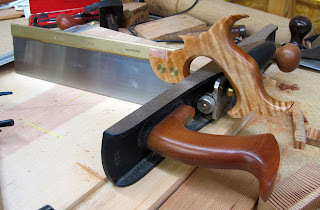 Whether you are just starting your woodworking journey or you are looking to add that next level to your skill set, I encourage everyone to check out each of these web pages. Each of these sites has something different to offer in terms of skill sets and information. One common theme among all of these sites, however, is the passion that goes into creating them, and the willingness to share their knowledge. You don't, however, have to start a website to share your experience with someone else. If you are a woodworker or a maker, please find someone to share your knowledge with and encourage them to make something. The reward is unparalleled, I assure you.